Own "Condition Critical" by Frankie Banali. 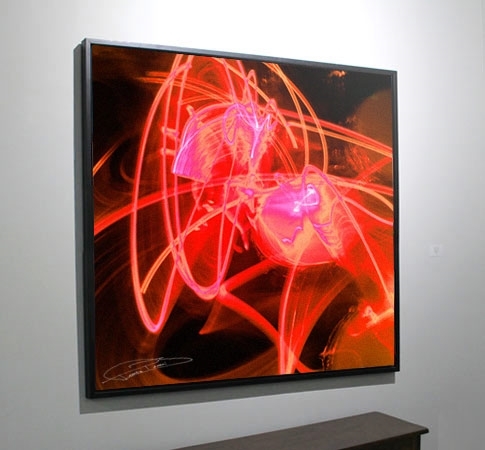 A flurry of sonic-red strokes cascade around the perimeter of this abstract work titled “Condition Critical.” The result is an intense visual that engages the viewer and draws them into the center of the work. Upon careful study, viewers will note Banali’s drum heads within the visual to the right side of the canvas from a near-bird’s eye perspective. Measuring 30”x 30” on canvas, there are a total 50 in the edition of "Condition Critical". All are numbered and individually signed by Frankie Banali.